i wonder if they let it laps because of the movie. 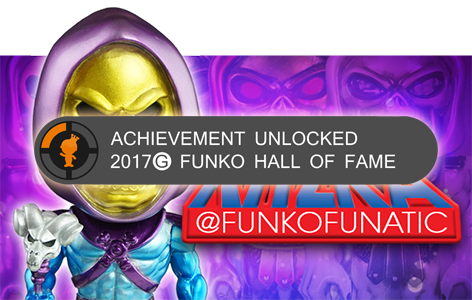 Funko would want new stuff out ASAP instead of 1 place for months before the rest could get it. I am glad that HT won't be carrying them anymore, I tried getting the glitter MLP for my sister but there are too many collectors of them in my area. The only time I've seen one was at B&N. I friended an HT employee and found out that there is someone who literally calls everyday for them and has them hold them from her. I finally won a glitter Scootaloo for a decent price on EBay. Now I just need 8 more and I'll be caught up on glitters. Congratulations! i just need 2 more. Does anybody know of a good place to get the regular vinyl ponies? I have few I'm missing to complete my collection and I'm having a hard time finding them for a decent price. Mystery Minis - Too many to count! SunsetBeauty wrote: Does anybody know of a good place to get the regular vinyl ponies? I have few I'm missing to complete my collection and I'm having a hard time finding them for a decent price. Which ones are you missing. The only place I've seen the regular ponies once they are no longer on HT is either barnes and noble, toys r us and some walmarts. I'm missing Pinkie Pie, Lyra, Rainbow Dash, and Doctor Whooves with the green tie. I also misplaced my DJ - but I'm hoping it will turn up soon!! I didn't even think about Barnes and Noble. I will have to check them out. Barnes N Noble is by far your best bet they usually always have those ponies you listed! Except maybe Pinkie, and Green Tie DR. TRU has DJ and Octavia. Not sure if any of you live near a Hastings Entertainment but they carry the vinyl ponies in store and have a good amount of them online. PoolFan wrote: Not sure if any of you live near a Hastings Entertainment but they carry the vinyl ponies in store and have a good amount of them online. Thank you!! Just ordered 3 of the ones I was missing! try your local comic shop to! mine has them. Well keep an eye out. I'm seriously so excited for NMM and QC! I cannot wait for toy fair... interested to see what stores will get them!! AquaticNeon wrote: I'm seriously so excited for NMM and QC! I cannot wait for toy fair... interested to see what stores will get them!! Me too!! I can't wait to see what the glitters look like. I'm running out of room to display all my Funko stuff though!! Don't worry I'm pretty sure we are getting them, if they aren't at toy fair tho... then we can worry until then we just gotta have hope! Hot Topic still has Cheese and Maud. 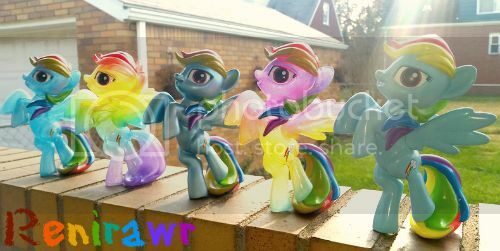 Stragon wrote: I am glad that HT won't be carrying them anymore, I tried getting the glitter MLP for my sister but there are too many collectors of them in my area. The only time I've seen one was at B&N. I friended an HT employee and found out that there is someone who literally calls everyday for them and has them hold them from her. I'm not sure what Funko MLP stuff might be revealed at Toy Fair but so far, I'm blown away by what Hasbro is offering! All the Guardians of Harmony articulates ponies, esp. Soarin! Golden Oaks play set for the blind bags!! They've revealed some MLP MyMojis! There is a quick picture on their instagram here and some better shots on their blog! Pop #: Who knows? // First: Harley Quinn #34. Newest: Android 17 + 18 // Wanted: Glitter Sailor Moon! Super stoked about the Guardians of Harmony line, Hasbro is doing a lot of amazing things this year. Tany those are... interesting? Any sign of Vinyl ponies or hikari ponies?? AquaticNeon wrote: Super stoked about the Guardians of Harmony line, Hasbro is doing a lot of amazing things this year. From what I've seen that they've posted there hasn't been anything Hikari related at all, MLP or otherwise. Still hoping for some news on vinyl ponies, though! Can it be tomorrow yet?? So is there gonna be new stuff revealed tomorrow as well? I actually don't know how Toy Fair typically goes, . But regardless, I hope we do get Nightmare Moon and Chrysalis soon! They're way too cool to not be released. Not sure I really hope so, but I guess that toy fair is to mainly display new lines, I didn't see any Hikari either which I was excited for. I really hope we get Nightmare Moon and Chrysalis soon too. Everything is put out on the first day of Toy Fair for all the days. There were no Pony Vinyls out and only one Hikari that I remember seeing. Well, if we don't have any vinyls to look forward to from Funko anymore, at least Hasbro themselves seem to be giving us some pretty legit pony toys this year. I was really looking forward to NMM and Chrysalis, too. Maybe we'll still get them? Fingers crossed! I'm Renia and I'm addicted to all things My Little Pony! Here is the full catalog http://popvinyls.com/wp-content/uploads ... atalog.pdf Pony vinyls are on page 60. Chrysalis or NMM aren't on there, the most recent ones are Maud and Cheese Sandwich. So maybe it's not looking too hot. Hey at least the ponies are in the catalog that's a good sign! I asked a question on another thread for someone who talks to Brian about new products, etc. Hopefully he asked mine. I asked about where the future ponies will be released. Hopefully we will get Queen Chrysalis and Nightmare Moon this month. Yea still nothing, I haven't heard anything yet either hopefully we get them soon! Jocelyn wrote: Here is the full catalog http://popvinyls.com/wp-content/uploads ... atalog.pdf Pony vinyls are on page 60. Chrysalis or NMM aren't on there, the most recent ones are Maud and Cheese Sandwich. So maybe it's not looking too hot. Oh man, I hope that they don't quite before them make NMM and Chrysalis! Maybe they're just trying to trick us all and get us extra hyped for when they DO release them? ...I hope? I'm trying to stay optimistic.. We didn't get the first wave of 2015 until March 24th so if that date passes and still nothing I'll get more worried, but theres several things that could be the delay from problems with the figures, production, etc. Maybe they are exclusive to a specific store so they aren't in the catalog or simply because they weren't finished yet to make it in. I asked about these for us, but sadly didn't get much info at all..
"Thank you for inquiring about new Funko products! All of our release dates are posted on our blog. There is a link to it on the bottom of our website. You will find a picture and a release month posted underneath. Was Hot Topic their biggest buyer for the MLP vinyls? If so- and they lost that, they may be scrapping the line after all. Me! These Funko vinyls are what got me into collecting MLP again. And really collecting Funko products as a whole. I had a ton of G1 ponies growing up and I became an avid collector of the G3 when they were first released, then I stopped. Thanks to the Funko re-igniting my love for MLP, I've started sorting through my G1 and G3 ponies, databasing which ones I have. Plus I collect the new hasbro blind bag ponies now too. And it's how I discovered the new show too. I will be so sad if this is the end. It doesn't seem like they are likely to expand the MLP pop line and then I wonder if them stopping the minis are next. i would have the sads! we need Cheerilee and Zecora.